Confirmation is a ministry designed for 6th-9th graders, though is open to all. It is a springboard of sorts into, what we hope, is a life long journey down the path that God lays before each person. 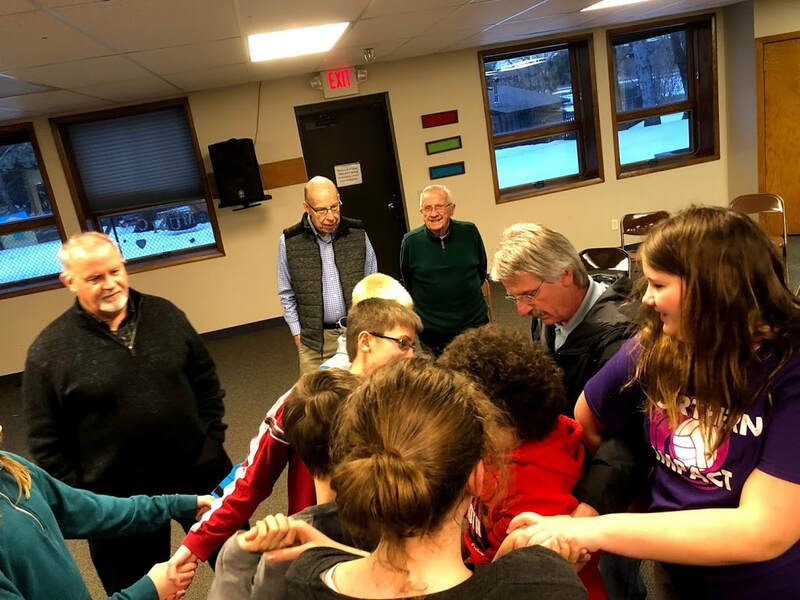 Confirmation is a time for Christ Followers to learn about God and their faith in large group settings by worshiping God through song, drama and experiential teachings, as well as through small groups, which meet regularly to talk, pray, serve, and play. 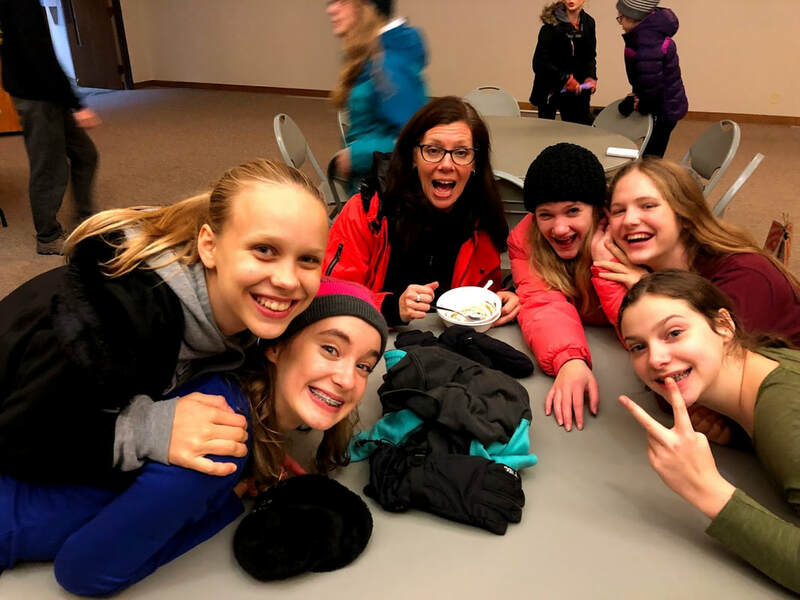 These small groups also give the students an opportunity to develop real and honest relationships not only with their peers, but dedicated adult volunteers, all of which are committed to one another in the journey through confirmation. Know how deeply you are loved by God​ and that you have an important place in this community! Have an understanding of Scripture (the Bible) and know some ways it can be used in your life. Know how to live out your faith in the world in word (able to talk about your faith) and deed (service). Because all of these things are living into the promises made for you at your Baptism that you will be Affirming at your Rite of Confirmation. Outside of church walls, “confirmation” is a run-of-the-mill word typically associated with the idea of verification—we can choose to receive “confirmation” when a package we’ve shipped reaches its destination, for example. Inside church walls, however, the word “confirmation” is used quite differently, and often to mean slightly different things. So what does it mean, anyway? Most often, “confirmation” is used to describe the entire three-year educational program which serves to prepare students for the Affirmation of Baptism service and the life of discipleship that follows. During this time, a student is said to be in or going to confirmation. The Latin word confirmare, the earliest ancestor of “confirmation,” literally means “to strengthen.” Paired with the word “faith,” this produces an appropriate definition of “confirmation” as used in this way—it’s a time to strengthen faith. "Confirmation" is also used to describe the special worship service that concludes this time of faith-strengthening. Therefore, a student looks forward to being confirmed at their confirmation service. Liturgically speaking, this is called an Affirmation of Baptism, a rite of passage which reminds both individuals and the assembly of the covenant made at our baptism—both God’s promise to us and our call to live out those promises. Martin Luther, however, reminds us that the Christian life is one of daily dying and rising with Christ in the waters of baptism. In this sense “confirmation” is something that never stops happening. It all begins with the sacrament of baptism, in which we’re washed with water, marked with the cross of Christ, and filled with the gifts of the Holy Spirit in a public celebration. It’s confirmed in the Affirmation of Baptism service, in which we say “Yes!” to our baptism. And it continues in the daily renewal of our commitment to the baptismal life. In other words, confirmation is not an end, but a beginning. During the Affirmation of Baptism liturgy, candidates are asked to “profess faith in Christ Jesus, reject sin, and confess the faith of the church." ​This question from the heart of the Affirmation of Baptism liturgy paints a rather vivid picture of a life of faith, and as such it serves as the foundation of the confirmation program at Shepherd.